Sheaffer Balance Lifetime full size fountain pen from around 1929. 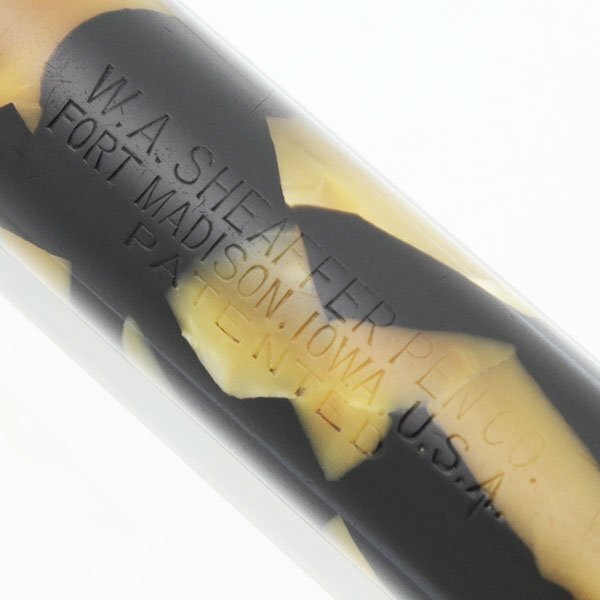 Long lever filler in pearl and black with gold plated trim and the very long ball ended humped clip. 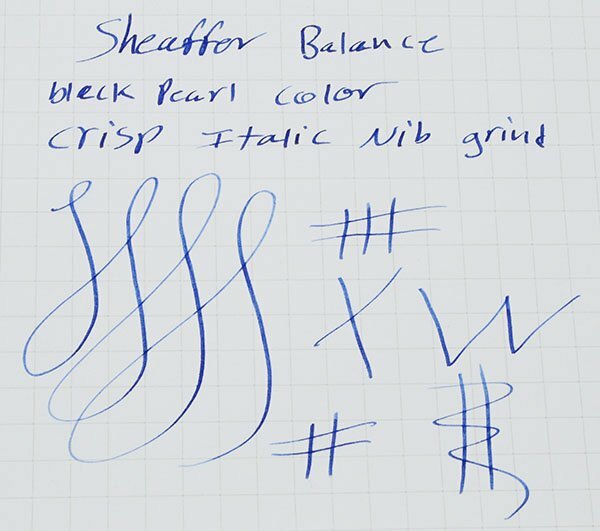 This was the first Sheaffer Balance clip. Fine italic gold Lifetime nib, ground here at PSP. Excellent + condition, fully restored and working well. 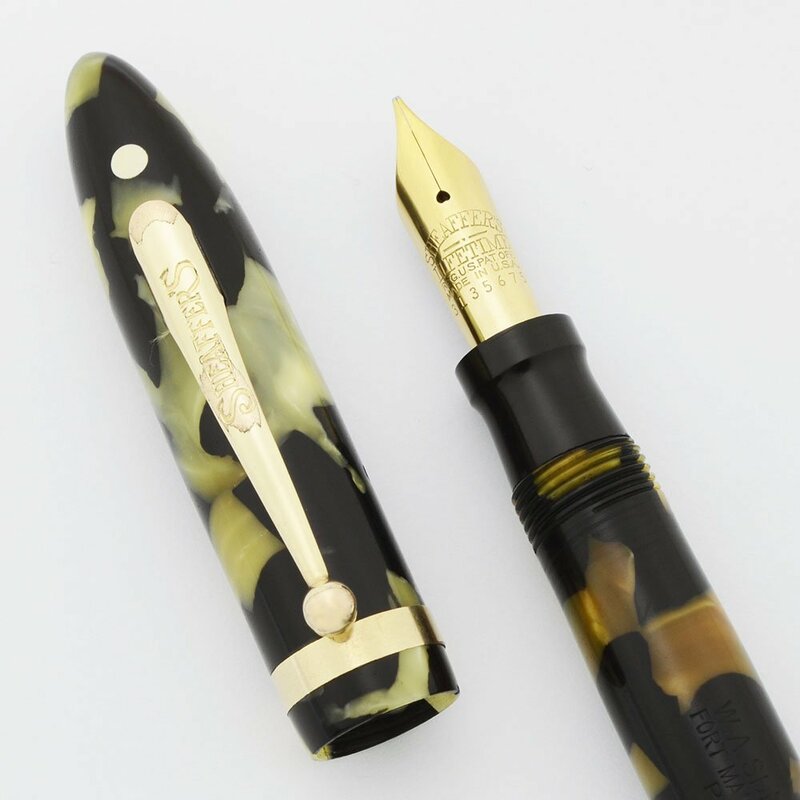 Type Vintage lever filling oversized fountain pen. Manufacturer and Year Sheaffer, made in USA -- 1929-30, this pen has the first style of clip (aka long humped ball). Filling System Lever filler. We've restored it with a new sac and it's working perfectly. Color Pearl and Black with gold plated trim. The color was originally black and a pearl color but the white pearl is nearly always partially ambered. The cap and end of the barrel are only slightly yellowed. The color is very nice, better than we usually see. There is a white dot above the long humped clip and gold filled trim. This is the longer version of the humped clip. The cap band is 1/8" wide. Nib FINE ITALIC gold nib, customized here at PSP. The nib writes very smoothly and is a firm narrow fine cut for line variation. See the writing sample below. It says Sheaffer Lifetime on it and is single tone. Condition Excellent + condition with no cracks or chips. Very smooth to the touch. Very good coloring with not too much ambering on the barrel. It's one of the better examples. The clip has some brassing. The pen has no scratches and the barrel imprint is clear. It's fully restored and working very well.